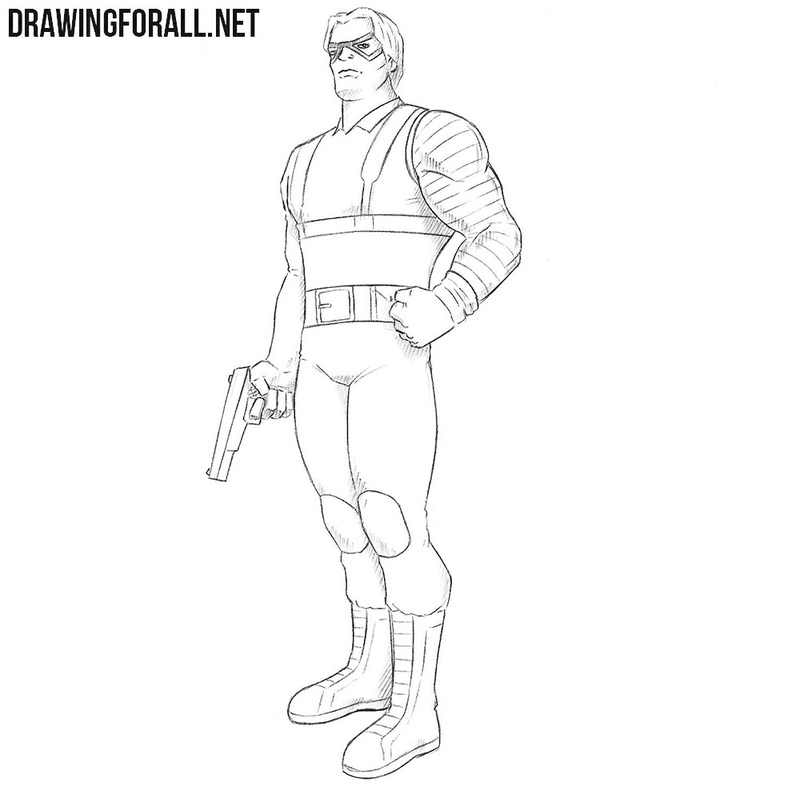 In this drawing tutorial we will show you how to draw Bucky Barnes. You probably know that Bucky was a close friend of Steve Rogers (Captain America). After the battle with Baron, Zemo Baki became an ominous Winter Soldier. That is what we are going to draw. 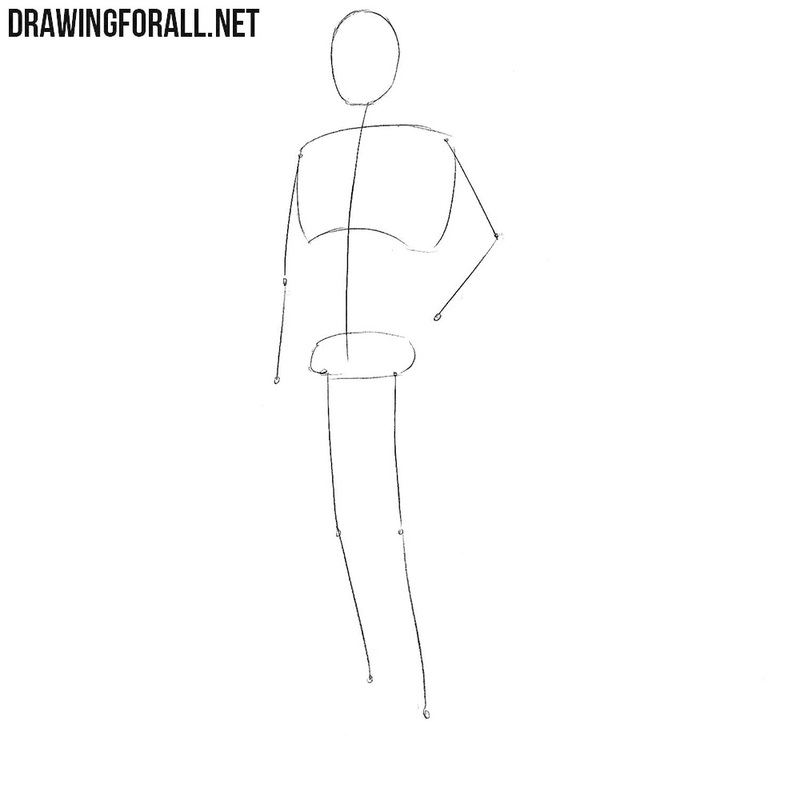 We will begin this drawing tutorial with a stickman. 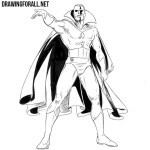 You probably know that it is a standard beginning for all drawing tutorials about real people and comics characters. With the help of very light lines, we sketch out the head in the shape of an oval and the line of the neck and spine. On the spine sketch out the chest and pelvis. With the help of simple lines sketch out the arms and legs. 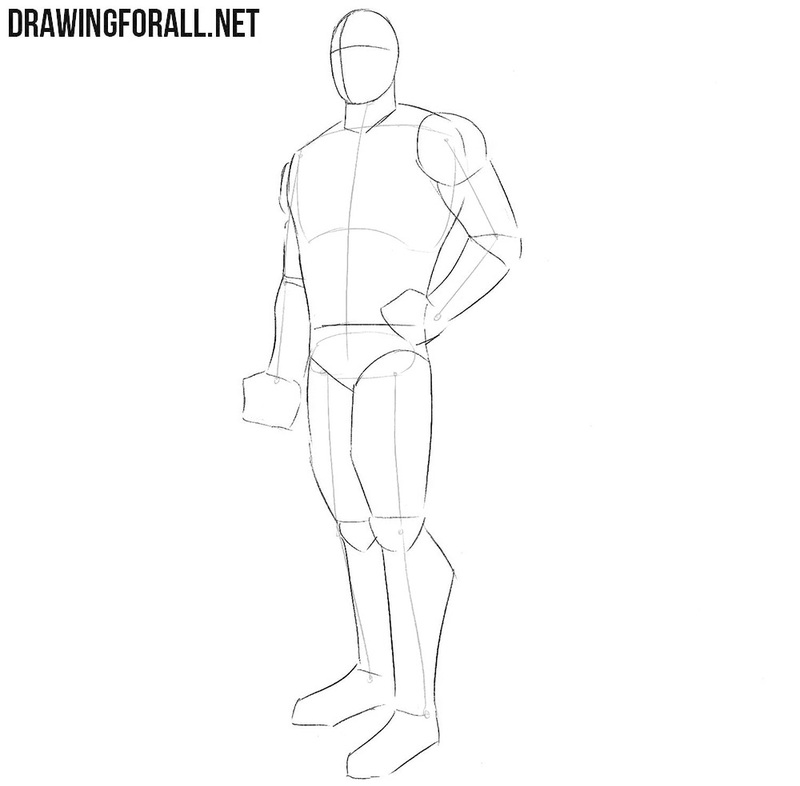 Draw a neck in the form of a cylinder and body with a very wide shoulder girdle and a narrow waist. After that draw the shoulders with the help of circles. Below them draw the outlines of the upper and lower arms and also the fists. Sketch out the triangle pelvis under the torso. Next, outline the legs tapering in the knees and ankles The knees are sketched out in the form of usual circles. It’s time to draw the most basic details. On the face sketch out the eyes, nose and mouth with the help of two crossing lines from the previous step. Next, sketch the outlines of the costume and move to the next step. So we make preparatory part and now we will use final dark lines starting with this step. Draw out the contours of the details of the face and mask that covers the upper part of the face. With the help of smooth lines we draw out the hair. After that you can remove all unnecessary guidelines. Now let’s move on to the corpus. We carefully draw out contours of the belt and suspenders. Next, draw the folds on the fabris and the outlines of another details of the costume. Now let’s get to the arms. 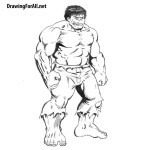 Draw out the outlines of deltoid muscles, biceps, triceps and forearm muscles. Try to repeat the outlines of the muscles as in our example. 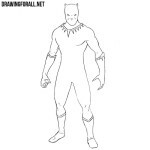 Now remove all unnecessary guidelines from the arms and draw out the details of the costume. In this step we will work with the lower part of Bucky. Erasing unnecessary lines from the legs gently draw out all the lines and muscles. Sketch out the details of the costume and the necessary folds. We have a final step in which we will work with shadows. To draw shadows as in our example, use a dense hatching that lies in the least lit areas of the drawing. You can also add a shadow to the ground to make the picture more realistic. This lesson was really hard, but now you have learned how to Bucky Barnes (Winter Soldier). 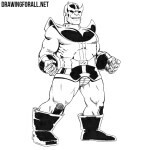 Don’t forget to subscribe us on social networks in order not to miss a single new drawing lesson.